According to the CEO of Levi's Denim, Chip Bergh, we've been washing our denim wrong our whole lives. Oops. 61-year-old Bergh made the reveal last week when celebrating Levi's IPO celebration at Wall Street, where he recounted a statement he made back in 2014. The leader of one of the most iconic denim brands in American history explained how he hadn't washed his jeans in more than 10 years. As Bergh later clarified in a 2014 article titled "The Dirty Jeans Manifesto," that meant his denim "hadn’t seen the inside of a washing machine." Not only does washing your jeans in a washing machine contribute to its fading, but it also contributes to a huge waste of water. "We learned that an average pair of jeans consumes roughly 3,500 liters of water – and that is after only two years of use, washing the jeans once a week," explained Bergh regarding an assessment of the company's products. "Nearly half of the total water consumption, or 1,600 liters, is the consumer throwing the jeans in the washing machine. That’s equivalent to 6,700 glasses of drinking water!" he continued in the manifesto. “If you wait and wash only after every 10 wearings, you can save 50% of the water that you use as a consumer to wash your jeans," echoed Levi's Vice President of Sustainability Michael Kobori. Instead, if Bergh's jeans "really need a wash," he will handwash them and hang them up to dry, or spot clean with a toothbrush. "My point at the conference, which by the way was all about sustainability, was to challenge the mindset that we need to throw everything into the washing machine after one or two wearings," the CEO clarified in the letter. The H&M Conscious collection uses only sustainably sourced materials such as organic cotton and recycled polyester, wool, hemp, and Tencel. Known for never using leather or fur, Stella McCartney sources as many sustainable materials as possible to create high-quality and luxury products. Learn more about their mission here. OOKIOH creates their swimsuits from 78% recycled materials. The entire collection retails for under $100 and features two-way stretch to give customers the best fit possible. Everlane partners with the best and most ethical factories around the world in order to source the finest materials. 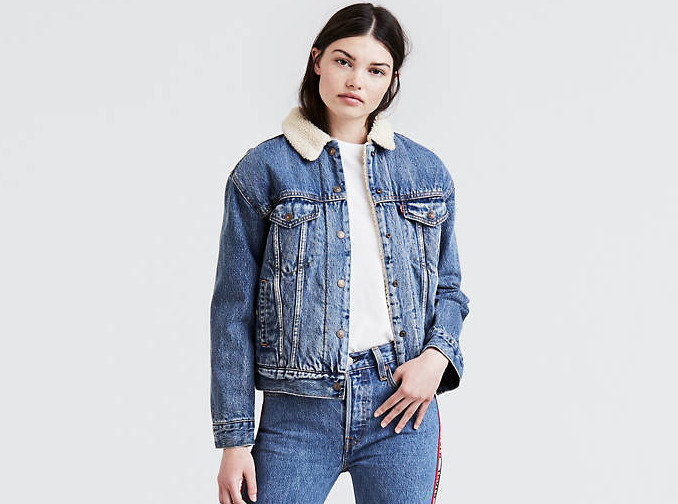 In partnership with Blue Jeans Go Green, bring in denim from any brand to participating Rag & Bone specialty stores, and get 20% off any and all purchases day of donation. Learn more here. Bleusalt uses entirely vegan and cruelty-free fabrics made from 100% sustainable beechwood forests. Made from Repreve fabric, each pair of jeans consists of 8-11 recycled plastic water bottles reformulated and blended with 100% BCI cotton. 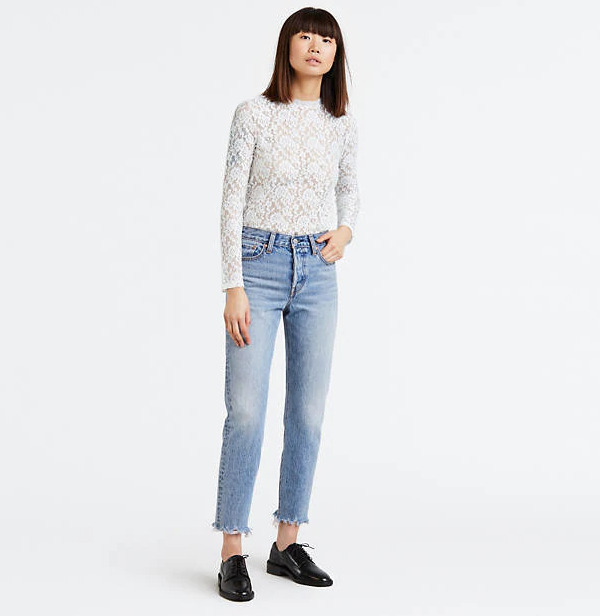 The result – fashionable, high-quality jeans you can feel good about wearing! In collaboration with the non-profit, Surfrider, Madwell designed a special tee from 100% recycled cotton and will be donating 25% of all profits from the top to protect our oceans and beaches. Naadam's mission is to source and produces the world's finest fibers, while preserving the values and livelihood of their herders.The brand works hard throughout the year towards their mission of creating real sustainability. Alternative’s design is rooted in sustainable and eco-friendly practices. Fabrics are sourced for softness and durability, incorporating organic and recycled materials. More than 80% of their garments are made with sustainable materials and processes. Veggani is a vegan, eco-friendly and sustainable handbag brand that only vegan and animal-free materials. Many of the bag linings are created using Repreve & Recyctex. These are recycled fibers that contain recycled materials including post-industrial waste, used plastic bottles and recycled fish nets. 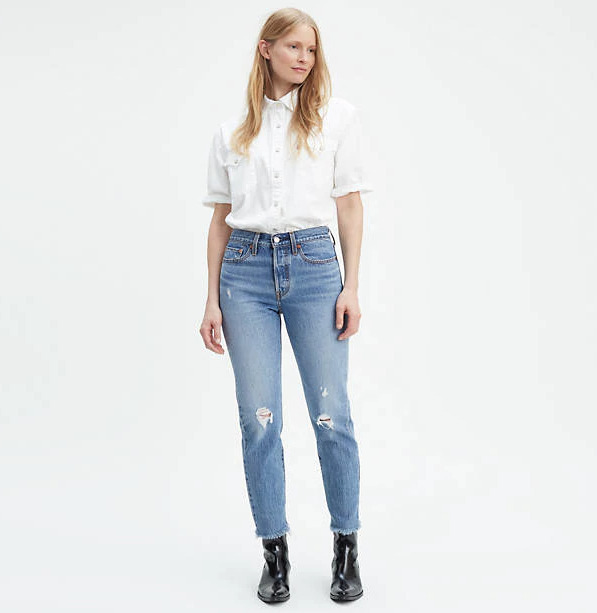 AYR is relaunching it's 'The Aloe' jean, which is designed to feel good on your skin and your conscience. 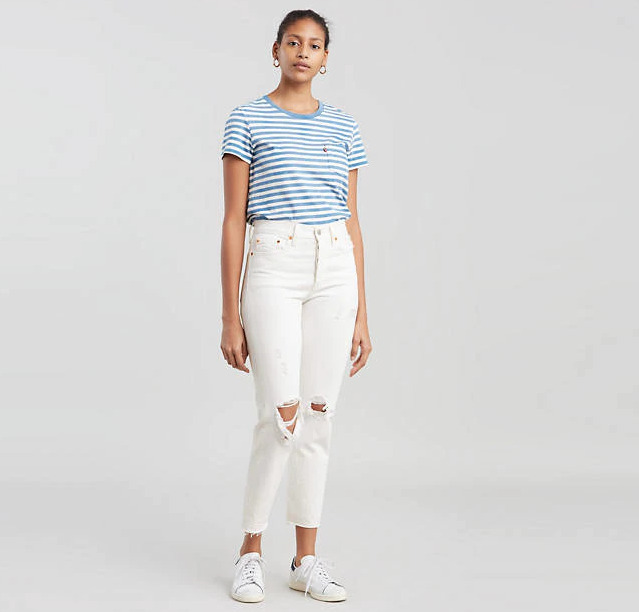 Developed in compliance with the Better Cotton Initiative and using ISKO fabric, they are woven from recycled cotton denim, washed with less than one cup of water (as opposed to gallons), and finished with a technology that replaces the use of chemicals. where Mountains Meet creates beautifully elevated styles with non-toxic, organic, and responsibly sourced materials, all produced locally in NYC. The designers collaborate with artisans around the globe to develop hand-crafted pieces and female artists to create original prints and promote a community of like-minded women. Australian basics brand Boody's range of products are made from viscose derived from bamboo, which are one of the fastest growing plants on earth and requires less water than traditional cotton. The bamboo is blended with a touch of nylon and elastane and the result is a fabric that is extremely soft, stretchy, and wrinkle-free. This super soft white tee features a scoop neckline and original artwork by Valfré. 25% of proceeds from the shirt will go to The Surfrider Foundation; a nonprofit organization that protects our oceans wildlife and coastal communities from the dangers of oil drilling. von Holzhausen creates the lining of their bags from Technik-Suede which is a 100% animal free, technical material made using an environmentally friendly process.